Marjama edged out David Freitas, who was optioned to Class AAA Tacoma, for the spot behind Mike Zunino on the 25-man roster. 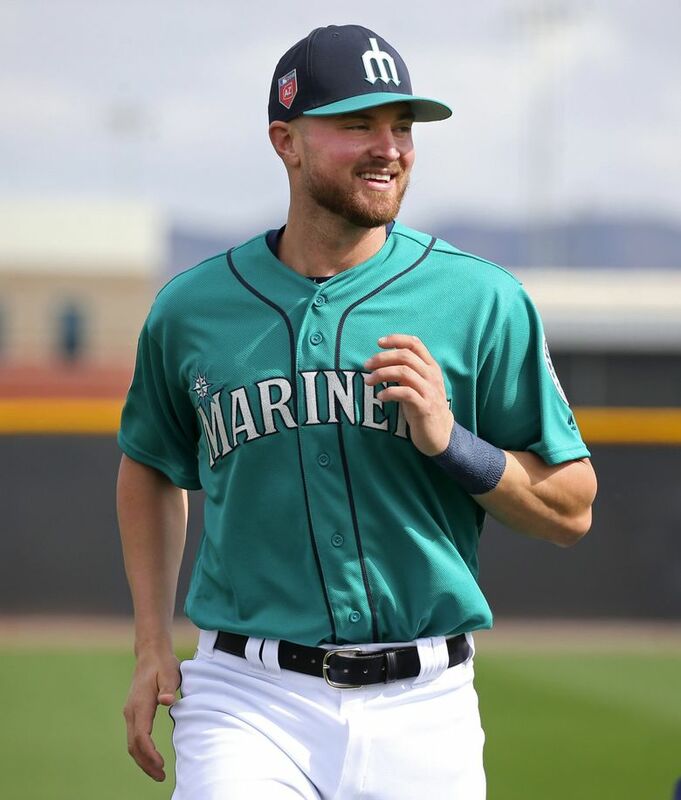 PEORIA, Ariz. — The Mariners made more than just roster moves to cut five players from Major League spring training on Sunday morning. They also finalized their decision on the competition for the back-up catcher spot for their opening day 25-man roster. With the move to option catcher David Freitas to Class AAA Tacoma, it signified that Michael Marjama had won the back-up job. Manager Scott Servais confirmed the decision following the Mariners’ 16-3 loss to the Indians. Following Sunday’s game where he went 0-for-3, Marjama was hitting .286 (8 for 28) with .412 on-base percentage, .607 slugging percentage, three doubles, two homers and four RBI in 14 games this spring. More importantly for the Mariners, he has shown a marked improvement on the defensive side. His blocking of pitches in the dirt and receiving has improved. Servais, a former catcher, demands a trust level from his back-up catcher in terms of handling the defensive responsibilities, including building relationships with pitchers. Freitas was the better fundamental catcher, but Marjama had a small advantage having been acquired by the Mariners last August from the Rays and getting a September call-up. He had some familiarity with several pitchers on staff. A former infielder that was converted to catcher, Marjama is solid athlete and an above-average baserunner. He has the ability to play first base if needed. Coming into camp, he was considered to have the more potential on offense. Freitas, who was claimed off waivers in the offseason from the Braves, hit .238 (5 for 21) in 11 games this spring with a .273 on-base percentage and .238 slugging percentage. He will be the everyday catcher for Class AAA Tacoma with veteran Tuffy Gosewisch, who is still in big league camp on a minor league contract, serving as the back-up. The Mariners also optioned outfield John Andreoli and right-handers Art Warren, Shawn Armstrong and Mike Morin — all players not on the 40-man roster — to minor league camp. Andreoli, a versatile outfielder, was a minor league signing in the offseason. He hit just .167 (5 for 30) this spring in 19 games. He’s likely headed for Class AAA Tacoma. Both Morin and Armstrong came into the camp on the 40-man roster and were out of minor league options. Thanks to slow starts to the spring for both, the Mariners were able to get both through waivers and outright them to the minor league system — keeping them in the organization. Armstrong was acquired in the offseason from the Indians in exchange for some of the extra international bonus pool money left over from failing to sign Shohei Ohtani. He was expected to compete for a spot in the bullpen, but struggled with arm fatigue early in camp, knocking his velocity down a few ticks. He did throw two scoreless innings on Saturday vs. Oakland. Warren is one of the Mariners’ top pitching prospects. A big and hard-throwing reliever, his fastball had dropped from the high 90s to low 90s in recent outings. After some hip discomfort delayed his progress into Cactus League games, he appeared in four games, posting a 6.75 ERA and collecting two saves. Warren is likely ticketed for Class AA Arkansas and could be a late-season call-up for the Mariners.